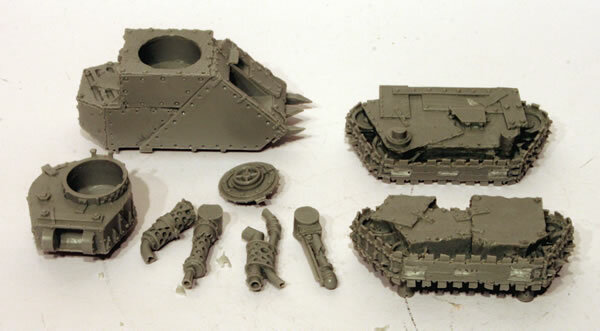 I picked up a set of Grot Tanks on a recent visit to Warhammer World. 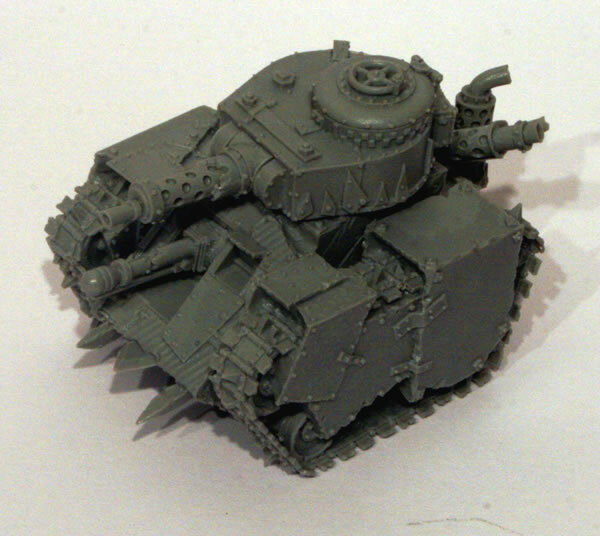 The lunatic product of the deranged imaginations of grot riggers and scavs that have spent far too long basking in the insane genius of the Big Meks, Grots Tanks are diminutive armoured vehicles made to imitate the far larger Ork Wagons and Tanks. 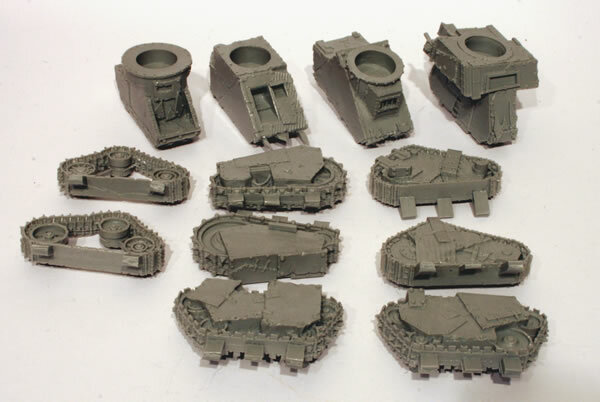 The set contains four different variant chassis, tracks, exhausts and turrets as well as four fantastic Grot Tank Kommandaz and 5 different, incredibly shooty, weapon options. This workbench feature is broken down into four separate features, one for each of the Grot Tanks. 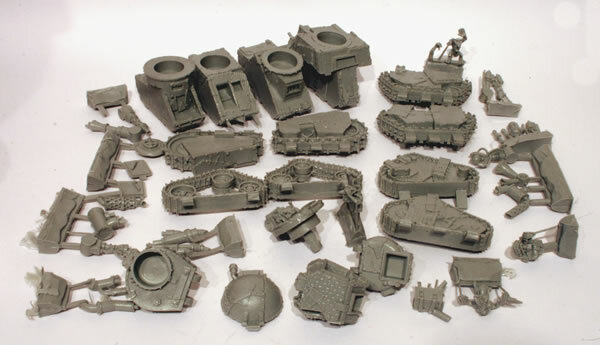 Before making them up I had a good look at the pictures on the Forge World website. There are many variations, but before I got started, I washed all the resin pieces. There is a fair bit of resin for the four tanks. I then looked at the four main bodies and tracks deciding which was going to go with which and then cleaned up the resin. This combination, especially the turret had a very German Tiger tank look to it. I decided to arm it with a Big Shoota and a Rokkit Launcha (as it has a secondary weapon bay in the hull. I do like the tracks that I've used for this model. The model does go together very easily.